Roslyn K. Parker majored in Business Administration at Olympic College and has owned and operated her own janitorial company. 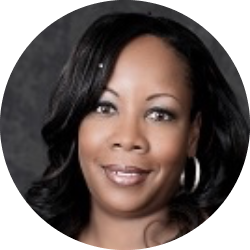 Roslyn has been a licensed Realtor in GA and SC and has over 15 years of sales experience. She has received the Multi-Million Dollar Producer Award 100% Club Member a Dale Carnegie graduate and is active in the Charleston Community. Roslyn believes that the home buying and selling process should be tailored to the specific needs and preferences of each and every client. She is best known for NOT letting a deal fall through the cracks and excels at following-up and client feedback. Associate Broker. The mother of two Roslyn is married and enjoys shopping traveling.